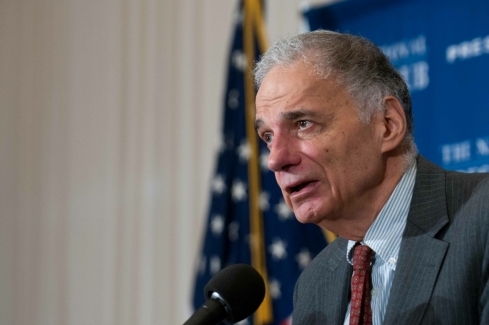 Consumer advocate Ralph Nader speaks at a National Press Club Luncheon, September 4, 2014. 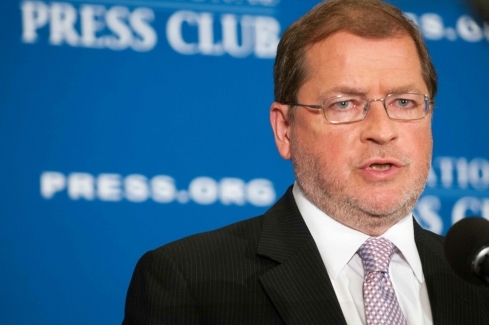 Anti-tax activist Grover Norquist speaks at a National Press Club Luncheon, September 4, 2014. 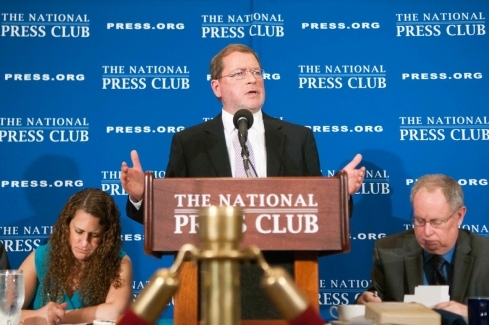 Anti-tax activist Grover Norquist speaks at a National Press Club Luncheon, September 4, 2014. Also pictured is Donna Leinwand Leger of the Speakers Committee and NPC President Myron Belkind. 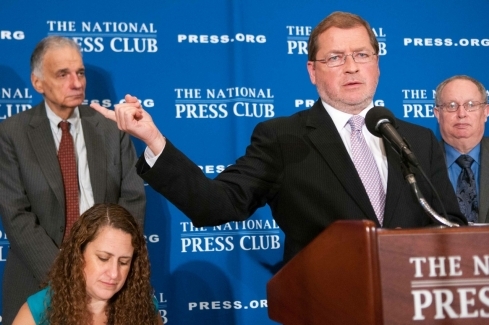 Anti-tax activist Grover Norquist speaks at a National Press Club Luncheon with consumer advocate Ralph Nader (standing, left), September 4, 2014. Also pictured is Donna Leinwand Leger of the Speakers Committee and NPC President Myron Belkind. 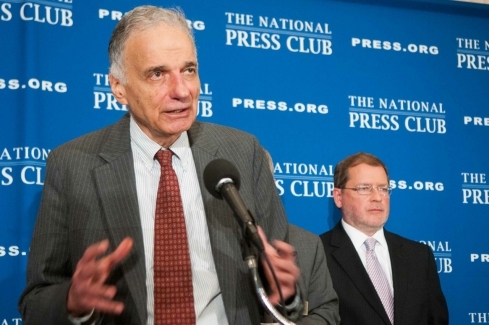 Consumer advocate Ralph Nader (left) and anti-tax advocate Grover Norquist speak at a National Press Club Luncheon, September 4, 2014.